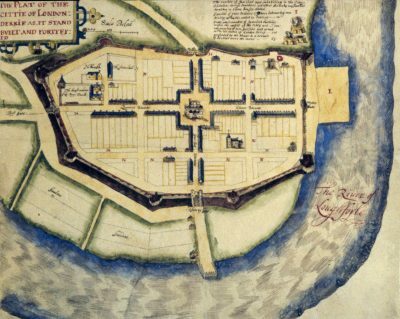 Join the Ulster Historical Foundation in Belfast for a lunchtime lecture given by historian and author Professor James Stevens Curl on the historical background and unique story behind the financing of the early Londonderry plantation. This event is designed for Guild members (though non-members are welcome) to help celebrate the achievements of ‘one of our own’. Prof. James Stevens Curl is a life member of the Guild and was awarded the prestigious President’s Medal by the British Academy in 2017. Everyone is welcome to attend the event, though pre-registration is advised. This event is free of charge to members of the Foundation’s Ulster Genealogical and Historical Guild (the Guild). Non-members can attend this lecture for just £5.00. Registrations made via Eventbrite will attract an additional charge of £1.84 comprising an administrative fee and VAT, giving a total amount of £6.84. Alternatively you can contact the Foundation on 028 9066 1988 to arrange payment. For members/friends living overseas or unable to attend in person the UHF also hope to be able to live-stream all or part of the lecture. Be sure to check the page closer to the time for a link to view online.